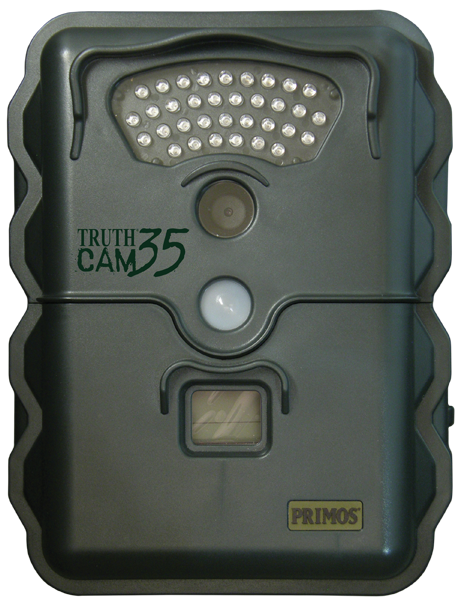 Living around abundant wildlife as we do, we decided to invest in a trail camera. These are automatic cameras that take pictures (or video) when triggered by a motion detector. They were originally used by hunters to see what kind of game was using a trail, say, and a what time. We're no hunters, but the device is lots of fun anyway. It takes color pictures or video in daylight whenever it senses motion in front of it. At night, it takes infrared pictures or video, illuminated by the infrared LED array at the top. Since the "flash" from it is infrared, most animals can't see it. The camera runs on 4 "D" cell batteries and stores images on an SD memory card. You can't view pictures on the camera itself - you must remove the memory card and look at the contents on a computer. Switches select video or still mode, single or multi-shot bursts and video clip length for each triggering. This is a branch from an oak (read: very hard wood) tree. Nearly 8" in diameter, it was chewed off completely, then nearly chomped through again a few inches away The beaver also gnawed off all the bark on the branch. Crittercam time stamps all recordings with the date, time and temperature. Next time: What the Crittercam saw. Inspired by your post I have picked up the very same critter cam for Humphrey. We will be gifting it to him for Christmas. Do you have any advice for him as to successful arrangements of the device?